Dangal 4th / 5th Day Collection 4 / 5 Days Dangal 1st Monday / Tuesday Box Office Report: Aamir Khan probably rocked the Bollywood even after demonetization hit and proved himself as the real king of Bollywood. Dangal movie released in a phase when too many predictions were being drawn because of unstable political conditions in the country. Despite facing various challenges, Dangal collection successfully proved themselves better than any other film released this year. Booking the Christmas holiday instead of regular release is working like a charm for superstar Aamir Khan. Check out in this post how much Aamir Khan’s movie had earned in over the period of last 4 days. The film is being released from last more than 3 days and got the biggest release ever in December. Dangal Collections on the 4th day and Weekend earnings report are nowhere right on your desk. Opening day collection was just more than outstanding. The film was able to score good points. A movie released with not much great songs and with no mainstream actress had only good acting as the only pillar in Bollywood. Film finally scored big on the opening day keeping the mouths of critics shut. Dangal Movie collected 29.78 cr as the first-day earnings which were right behind Salman Khan’s Sultan. The occupancy on the 1st Friday was spectacular for Dangal box office collection in most of the theaters. Multiplexes received a better response than mass centers during the opening. The movie also got the biggest release till date in more than 4500 screens around the country. It’s believed that demonetization hit is not expected to affect the box office earnings of movie much. Average fill out rate of 25% observed during the opening shows which went high to 65% during the night shows. A clear response was whopping from metro cities, and it seems fans of Aamir Khan were all the way waiting for the movie. Coming to the charts, a trend above 25% from the standard rate seen in the cities as compared to rural areas. Dangal collection on the 2nd day mostly depend on the closing of the year and workload in Indian offices. Since the year is coming to an end, Aamir Khan must be hoping for a great fortune. After releasing Ghajini in 2008, Aamir decided to book the end week of each year for himself, and he was entirely consistent with this. 3 idiots, Dhoom 3 and PK, all superhit films released during the last week of the year. The response from tier 2 cities was also good. Dangal box office Collections on the 2nd day stays strong in important cities including Jaipur, Amritsar, and Lucknow. First-day earnings of movie crossed the mark of Aamir Khan’s release last year. PK earned ₹26.63 during the first Friday as BO earnings. Dangal collections grown tremendously upward on the second day being a weekend and movie minted out 34.82 cr in a single day. Dangal Sunday Collection was mad as anything. There is more than 80% occupancy in cinema halls of metropolitan cities. Being declared tax free in Haryana, the film jumped hugely on single screens with the local audience. Delhi, Mumbai, and Bangalore just got more than lucky for the box office as the figures touch mark of 95%-100% occupancy during the night shows in Delhi and Mumbai. The response was even better than of Salman Khan’s Sultan. After earning 2 day total of 64.60 crore rupees, the movie was not easy to be stopped. The flick continues to grow on Multiplexes and 3rd Day Collection touched the mark of 39 crore rupees which is currently the highest 3rd Day Collection for any Bollywood film ever. The first weekend earnings of movie reached the mark of 103 crore rupees which was quite similar as of Salman Khan. Since the vacation period has begun in India and overseas, a great fill out rate will be observed in theaters around the country even on the working days. 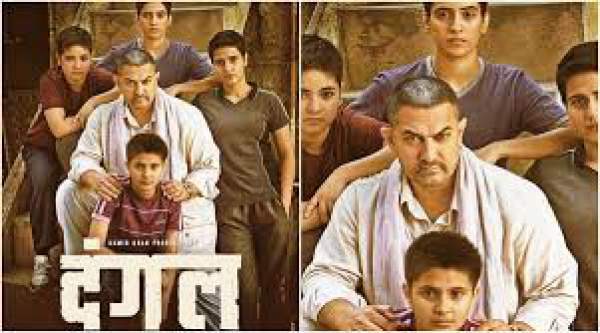 Dangal fourth-day collection stays strong with over 45% occupancy around the country as tickets price observed a drop. The response was not good as of other days but very strong to lead the film to 125 crore rupees club in 4 days. The advance booking trends indicated estimated earnings of 22 crore rupees on the fourth day being a weekday. We have not counted international earnings yet in the BO report for the film. We had not received any official confirmation from the overseas sources, but it’s being rumored among the top Industry players that the movie had already crossed 60 crore rupees during 4 days from overseas market. Superb movie..Aamir ke jo movie b aatey ha vo apni back movie ka v record toorti ha..&..jo back valey movie hotey ha vo Bollywood he nhe Hollywood ka v record toorti ha. I love you amir sir dangal Was a superb Movie of the year in 2016. every dialog it’s was touching my Heart. Thank you for making Again a amazing Movie love you amir Sir, love you lot sir?? Calculate properly and then publish ? Acting karnewaale Bhot saare actors hey Bollywood mey par aisa koi actors Nai jo aap ki thara real life mey messege denewaali films banakar denewaale actors Vo sirf aur sirf aap hi ek ho sir….. U r great.